Huge Savings Item! 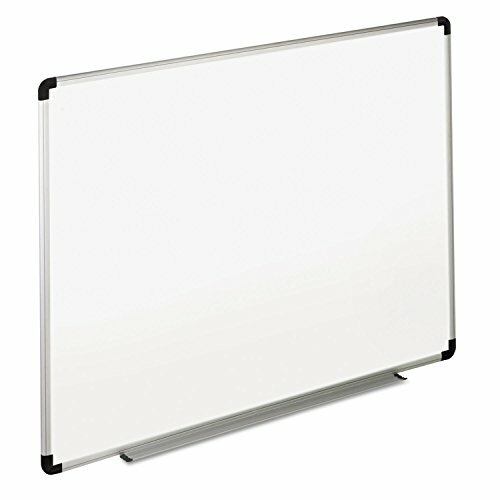 Save 20% on the Universal Dry Erase Board, Melamine, 72'' x 48'', White, Black/Gray Aluminum/Plastic Frame by Universal at Ledina. MPN: UV805. Hurry! Limited time offer. Offer valid only while supplies last. An indispensable office addition. Melamine surface accepts all dry-erase markers. Contoured aluminum frame features attractive black-plastic corners. An indispensable office addition. Melamine surface accepts all dry-erase markers. Contoured aluminum frame features attractive black-plastic corners. Fireproof board backing. May be mounted vertically or horizontally.